Follow the latest Catholic schools’ Enterprise Agreement negotiations by viewing all updates from the IEU below. The Employer has advised the IEU that the agreed final draft of the SA Catholic School Enterprise Agreement 2017 has been sent to all principals for distribution to staff. By now you should have received this. The ballot will open for voting on 28 June. Given the protracted nature of negotiations and the employers’ refusal to make use of the Fair Work Commission the IEU encourages you to vote in support of the EA. The unprecedented attack on your conditions of employment has been averted. For example. AST classification retained for current holders. An employee’s right to convert a partial redundancy to a full redundancy is retained. ESOs will continue to receive TOIL at penalty rates for overtime work. Part Time teachers cannot be required to attend work on days or part days they’re not employed to work (eg parent teacher interviews) unless negotiated by the school. Teachers cannot be required to perform relief lessons for teachers absent on school initiated activities (eg camps, excursions, PD etc.) or prolonged absence. Curriculum Extension Activities was not increased for primary teachers in Tier 1 schools. The period of support for underperforming teachers prior to termination of employment has not been reduced. Having protected long established conditions and obtained 2.5% back dated salary increases, the IEU recommends a Yes vote. The IEU has agreed a final draft of the Enterprise Agreement. The employers will now need to follow-up all 103 schools to ensure compliance around distribution of NERR before the legislated minimum 21 days commences between their distribution and a vote to approve the Enterprise Agreement. The IEU was waiting for a final draft of the Enterprise Agreement to proof read when last Friday, 26 May, employer negotiators reported a significant turn of events. A step required of employers before an Enterprise Agreement can be approved by the Fair Work Commission has not occurred at all schools. The formal notice to announce commencement of negotiations and employees’ representational rights within this process was not circulated as required. This means that regardless of the outcome of a vote the Enterprise Agreement would not be approved. The employers must therefore cease current negotiations and reissue the notice to all employees. The employers cannot request employees to approve the agreement until 21 days after the last notice is given. Consequently, the IEU again asked the employers to consider payment of back pay ahead of formal approval. The employers’ representative rejected this. IEU and Employer representatives continue to work towards a final draft of the proposed 2017 SA Catholic Schools Enterprise Agreement. It is expected to be completed within the next week or two. Once complete the employer is responsible for distributing it for voting. If a majority of employees accept the proposed EA the Employer will then lodge it, and supporting documentation, with the Fair Work Commission to formally approve and register it. The employer has 14 days in which to do this. At this point the IEU will also lodge papers so that it is covered by the Agreement. How quickly the Fair Work Commission approves the EA is dependent upon how busy they are. It is hoped this will occur before the end of this term allowing salary increases and back pay to be made. Further to the joint IEU/Employer letter recently distributed to all employees the IEU can advise members the parties are continuing to work on a final draft of the proposed Enterprise Agreement. Salary increases and agreed clause changes to improve clarity of the document have been added. More complex drafting changes are currently under examination. It is the IEU’s hope that an agreed final draft will be completed during the term break allowing the voting process to commence early in Term 2. Given this the IEU will again recommend to the employers that back pay be made available to employees as soon as is possible. We write to you on behalf of the 16 Catholic school employers and the Independent Education Union (SA) Branch. As you are aware, for nearly two years our respective negotiating teams have been striving to reach agreement with respect to a range of work-related matters. Despite good faith, robust discussions and hard work, we have not been able to achieve a mutually agreeable resolution on some issues. Both parties do agree, however, that we would like to bring the negotiations to an end in order for staff to receive the benefit of negotiated increases as soon as possible. We are conscious that the staff in Catholic schools, who commit so much for the children and young people they serve, deserve their salary and allowance increases and applicable back pay. With this in mind, each party has agreed that we will withdraw our respective claims and offers, put the proposed Enterprise Agreement to a vote and allow salary and allowance increases and back pay to flow. We have also agreed that, should the vote be successful and the Enterprise Agreement approved by the Fair Work Commission, the Enterprise Agreement will operate for a period of 3 years from the date of Fair Work Commission approval. We expect to recommence negotiations for the next Enterprise Agreement in 2019. Together we have considerable work yet to complete in terms of drafting the revised document, providing it to you for your consideration and then undertaking the voting process. Why would we agree to this? 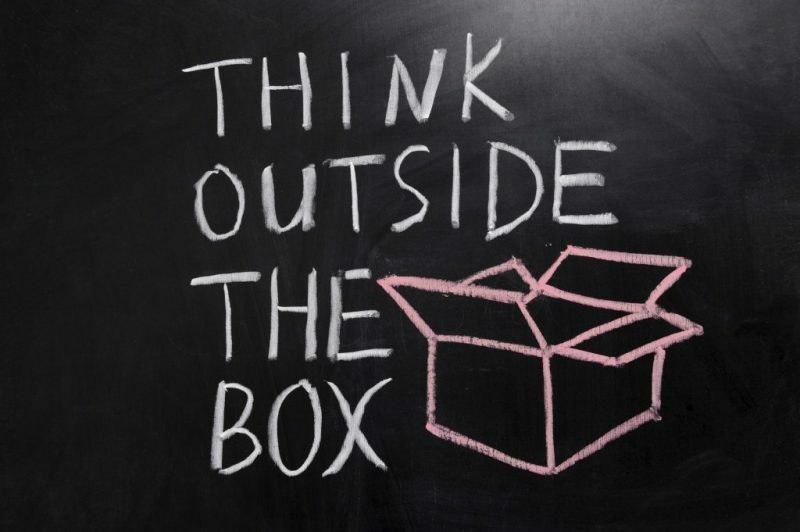 Most member reaction to Update #57 “Thinking Outside the Box” was positive, so we have progressed the matter with the employers and with the Catholic Reps at the Annual Conference on 6 March. The Reps passed a resolution to negotiate essentially for wages only being incorporated into the current 2013 EA. Both parties would abandon their contentious claims. Non contentious changes could be made. Why would we let go of 2 years’ of negotiation effort? The passing of the motion has, understandably, provoked some strongly critical reactions from those who want to fight on. Finding ourselves in a stalemate situation we have to take pragmatic steps. Short of mounting industrial action which closes a significant number of Catholic schools, we need to think outside of the square – something which the employers have been notoriously poor at. We have to play the ball where it has landed! The Reps’ view was that to let go of the modest workload gains wrought from 2 years of negotiations in order to prevent the employers from removing some significant long-held and fundamental rights was not such a bad deal. It was not a roll-over in the “win-lose” sense. It would be a matter of clearing the table in order for both parties to regroup. Obviously both parties would pursue their abandoned claims with renewed vigour into the next agreement in 3 years’ time. The employers are still to meet to consider their position on this proposal. Nothing is final until an agreement is voted up and approved by FWC, but at least there is a glimmer of hope for breaking the impasse. That this meeting of IEU(SA) Branch Representatives authorises the IEU negotiators to pursue a resolution to the protracted Catholic Schools EA negotiations by negotiating for an agreement based on the 2013 Catholic Schools EA with 2.5% increases October 2015 and 2016 (back-dated) and DECD increases thereafter, and an expiry date 3 years from approval. This will be provided to the employers who will consider it at their March 14 meeting. Responses have been overwhelmingly supportive of the IEU idea for both sides to withdraw their claims, let the current EA carry forward and simply pay employees what they deserve – DECD-matching salary increases of 2.5% for Oct 2015, 2016, 2017 (backdated) and the yet to be decided DECD increases in 2018 & 2019. This would mean that negotiations would recommence in late 2019 / early 2020. The IEU will present this idea to the employers as a way forward that the IEU could support. The employers say that they have given everything and the Union has given nothing. If that’s the case, then let’s take this out of the equation. What if we were to let the current EA and its conditions carry forward without change and both parties drop their claims against each other? Simply pay employees what they deserve – DECD-matching salary increases of 2.5% for Oct 2015, 2016, 2017 (backdated) and the yet to be decided DECD increases in 2018 & 2019.
do they want from us? You are the Union. You are already doing more than ever, and they expect you to make concessions as well! Your negotiators HAVE made concessions at the table but the employers demand more. The employers have offered modest workload improvements in return for some basic protections and entitlements being stripped away. We are at an impasse, but the employer consistently refuses to let the independent umpire assist negotiations. How is this fair and reasonable? The ability to put an EA to the vote lies solely with the employer. Why is the employer insisting that the IEU agree to their claims before putting the EA to the vote? Is it so they can share the blame for any negative impact their claims will have on employees. IEU members have simply rejected some employer claims because they significantly reduce basic protections & entitlements for teachers and ESOs. Further the IEU is simply seeking fair and reasonable workload adjustments. For details about what the employers deem “reasonable concessions”, the potential impact of which is never fully explained to you, please see the following link. Is the Union’s position reasonable? We ask Reps to forward this email to all staff and print the below linked PDF and place on the staff noticeboard (Clause 13 of the current EA entitles you to do this). It is in everyone’s interests that non-union staff hear the other side of the story. Are the employers’ demands and responses fair and reasonable? Judge for yourself. 1. Bill the school receptionist, and Jane the teacher have both had their permanent hours cut by a third. Is it fair and reasonable that they lose the existing right to elect full redundancy if they cannot afford to live on the reduced salary? 2. There are times when our ESO accountant, Mary, is required to do some urgent overtime ahead of the audit. Is it fair and reasonable that she cannot choose how she takes the compensation – as time in lieu or payment? Sometimes the time off is more useful. Sometimes the pay. 3. Your team-teaching companion, Alice, works 2 days a week. Parent teacher meetings are to be held on two afternoons and evenings on days that she doesn’t work at the school. One of these days she has employment elsewhere and on the other she cares for her children. Is it fair and reasonable she can be expected to attend on a day she is not being paid to attend; losing salary and incurring child care costs? Currently each school, in accordance with the EA, successfully negotiates arrangements that suit it and its part time teachers. 4. Members asked for some time release during peak work load, such as report writing. We accepted the offer of the equivalent of 2 days per year. Is it fair and reasonable that this time can be drip fed in small 90 minute lots rather than meaningful half or full day’s blocks? 5. Think of an overworked POR (including APRIMs). Do they get enough release time to do the job properly? Is it fair and reasonable that the employers have dismissed our claim for increases to POR release time, out-of-hand with no discussion? 6. Paid Family Violence Leave is being codified in EAs around the country. Is it fair and reasonable that the employers refuse to enshrine this right in the EA, whilst espousing family values? Employer Bargaining Update #17 accuses the IEU of “stubborn refusal” to recognise the fairness of the concessions the employer demands. To date the IEU has accepted 11 drafting alterations and 6 claims made by the Employer because they were fair and reasonable. The IEU did put to the employers a compromise package in December which they “stubbornly refused” to accept. The employers “stubbornly refuse” to accept the assistance of the Fair Work Commission in resolving remaining issues. Are they worried that they might need to make fair and reasonable concessions? Yes, it has taken longer than we had hoped to reach closure. However, we will not recommend closure when we don’t believe that the employer claw-backs are fair or necessary. The employer claims that the “parties are not far from agreement”. Judge for yourselves in the 20 page progress chart from the January 2017 EA meeting. From that you can see how many concessions the IEU has made and how many items are still in play. It is not just the 4 or 5! Negotiations continue this Friday 3rd February. At negotiations on the 20th January the Employers announced further delays associated with technical matters. Three schools are changing their company structure. An application to the Fair Work Commission for a new bargaining authorisation is now required prior to any EA ballot taking place. Given this delay it would seem appropriate for the employer to provide long overdue back pay as a sign of good faith. In the spirit of moving to a resolution the IEU put a compromise position to the employer. At the negotiation meeting on the 16th of December 2016 this was rejected and so our offer was withdrawn. Despite bargaining in good faith, we are still at the table with the same issues unresolved. It is time for the Employers to accept the Fair Work Commission’s offer to assist in negotiations. Hit the button below to send the following email to Michael Kenny. Please CC your principal to keep them in the loop. Bargaining in good faith has not resolved the impasse. After 2 years it is time to let the independent expert assist. We ask Employers to join the IEU and accept the offer of the Fair Work Commission to assist the parties in negotiating a fair conclusion to the Enterprise Agreement. While this happens please provide committed hard working staff with the back-pay they deserve. Congratulations to the members who braved the conditions to listen to Anthony Haskell (St Ignatius College ), Pat Allmand (St Aloysius College), Blair Breeding (Mercedes College) and Mark Black (St John Bosco) express support for a fair wrapping up of EA negotiations. 1. While the equivalent of 2 days’ release at times of peak workload is agreed, the employer refuses to guarantee it will be provided in meaningful blocks of time. 2. While Employers acknowledged there are circumstances in which part time teachers could reasonably decline attendance at parent teacher interviews on days they do not work, they refused to provide for this in the Enterprise Agreement. 3. The employer still insists on removing from the lowest paid group, ESOs, the long-standing right to choose how they are remunerated for overtime – salary or time off in lieu (toil). They also want to remove the existing penalty rates applicable to toil. 4. The employer insists on removing the right of staff to declare partial redundancies as full redundancies. 5. The employer refuses to phase in a further reduction in the relief lessons maxima. For secondary teachers from the offer of 12 hours pa to the claim of 10 hours pa in the third year of the Agreement in return for removal of existing restrictions. The IEU again asked the employer to reconsider the offer of the independent Fair Work Commission to assist in EA negotiations. The Employers again refused. The IEU again asked the employers to make an administrative adjustment and back pay salary now. The Employers refused. The employers need to demonstrate that they value employees as much as they say they do. Members reaffirmed that the 5 outstanding issues need addressing immediately and this will be relayed to the employer. We deferred the Rally to gather member feedback. You have told us the package is not good enough. We listened to you. We took your feedback to the table. The employers were dismissive of your views and flatly refused to consider any variations. The employer offer has not been improved one iota. In fact ESOs, the lowest paid employees, stand to lose the most. There is no need to hold the planned Reps meeting as nothing has changed. The employers issued a revised offer on 23 November and this has been slowly rolled out to all staff. This re-positioning was due in no small part to members’ willingness to rally in support of a fair and reasonable outcome to EA negotiations. The two previous rallies caused significant shifts in the employers’ position and this one is no different. The claim that back-pay is being held up by the Union is not accurate. Because one of the employers has changed its company structure, it is no longer covered by the single interest authorisation. Until a new approval is obtained from the Fair Work Commission the EA cannot be put to a full vote. The employers have created a technical impediment to the vote being put. However, it is still within their power to authorise back-pay. The figures have been known for a long time and could easily be prepared in advance for a prompt payment. Feedback from members to date is that, subject to certain clarifications and adjustments, the package on offer is getting closer to being acceptable. The negotiators meet again on Friday 25th November and hopefully will be able to fine tune an “in principle” package for consideration by members. Please notify any non-members you may have invited along of the change of plans. Note this is not “industrial action” and doesn’t require balloting or notification. No pay will be lost for attendance. Family, friends and non-members all welcome. Reps are collecting signatures for organisational purposes so let them know you will be attending. As EA negotiations continue and the Employers reconsider their offer of October 7 the IEU has again asked the Employers, through lead negotiator Michael Kenny, to provide the back pay being withheld from you. Michael Kenny identified this as now being more than $2200 for a step 10 teacher, but he fails to tell you that the money could be paid now. In the interests of progressing negotiations the IEU again puts to the Employers that they make an ‘administrative adjustment’ and back-pay salary increases of 2.5% from October 1 2015 and October 1 2016 to all employees covered by the SA Catholic Schools Enterprise Agreement. These salary increases are retrospective, for work already undertaken. As such it should not be subject to the success or otherwise of claims for future ‘productivity gains’ to use your term. This approach has been followed as a sign of good faith in some other schools / sectors where EA negotiations have been lengthy. How is it fair or generous to offer a 54 minute reduction per week in return for an extra 100 minutes per week? Not so generous. Not so reasonable. In Employer Update #14, Michael Kenny invites feedback on what he calls the “generous offers and reasonable claims” of the employers. A closer examination (below) belies that claim as misleading. It is important to note Michael Kenny highlights more than $2200 (gross) in back pay is owing, but he fails to tell you the money could be paid to you NOW. The IEU asked for you to be paid as a sign of good faith as happens in other sectors and schools when negotiations are protracted. He refused. There is no good reason why you should not get the back pay now. Michael Kenny holds on to it so he can blame the Union for holding up your salary increase. His “significantly enhanced offer” actually increases teacher workload by 30.6 hours per year. That is Michael Kenny’s idea of quid pro quo (like for like). His offer increases workload and significantly reduces entitlements and protections. Michael Kenny refuses to allow the independent Fair Work Commission to assist negotiations and sees the “New Approaches” as intervention. What is he so afraid of? The IEU does not believe that the employer package is in the best interests of Teachers, ESOs or IEOs. The employer offers are in response to IEU claims. They give too little and ask too much. Email Michael Kenny your thoughts on the matter and demand your back-pay so it can be received now Michael.Kenny@cesa.catholic.edu.au. The November 27th Rally will proceed as planned and we need to maximize attendance. × 2.5% Salary increases (and the undetermined 2018 & 2019 DECD increases) are identical to DECD and in line with CEO convention. × Back dating to 2015 was, and is, being used as a bargaining ploy by the employers. × SCT reduction of 11 hours per year (3.3 mins per day) with purpose & timing at the principal’s discretion (in “consultation” with staff). × Reduction in secondary relief lessons of 5 hours per year (1.5 mins per day) but with the removal of exclusions for known absences, excursions, camps and other school directed activities. × Retain AST for current holders. No new appointments. This cost will reduce over time as existing ASTs leave the system. × CEA payment indexed for the first time. 2.5% increase equates to 63 cents per hour. × ESO casual loading increased from 20% to 25% consistent with the Modern Award. × Existing Personal Care allowance of $500 to be now specified in EA. × Higher duties payable for 5 days or more rather than from day 6. × ESOs’ & IEOs’ overtime applies after 7.5 hours a day. This simply clarifies current practice. × Clearer dispute resolution procedure. This benefits both employers and employees. × Provision of support for ESOs & IEOs during performance management. Simply procedural fairness. × Clarification of structural change when Year 7 becomes secondary. × Multiple minor non-controversial amendments. As one would expect and at no cost. Yesterday, Branches overwhelmingly rejected Michael Kenny’s revised EA package, describing it as being insulting. As a consequence, the industrial campaign will now escalate with a view to holding a rally on the morning of Sunday 27th November in Victoria Square. Branches which have indicated that they want to undertake additional protected industrial action are encouraged to do so. Reps should contact their Organiser for assistance with the formal process. As a consequence the IEU is calling a Branch Reps Meeting for October 27th, 4.30pm, at Marcellina’s Pizzeria Hindley Street Adelaide. Debate at the table is exhausted. As the Employer refuses to accept the Fair Work Commission’s assistance. Your only options are to roll over or to fight. Carefully read the offer and IEU explanation (as many claims diminish existing conditions for either Teachers, ESOs / IEOs or both) and provide feedback to your Branch Rep who will bring a collective response to the above mentioned meeting. Any metropolitan school that does not have a Branch Rep who can attend will need to organise an alternate representative to attend. 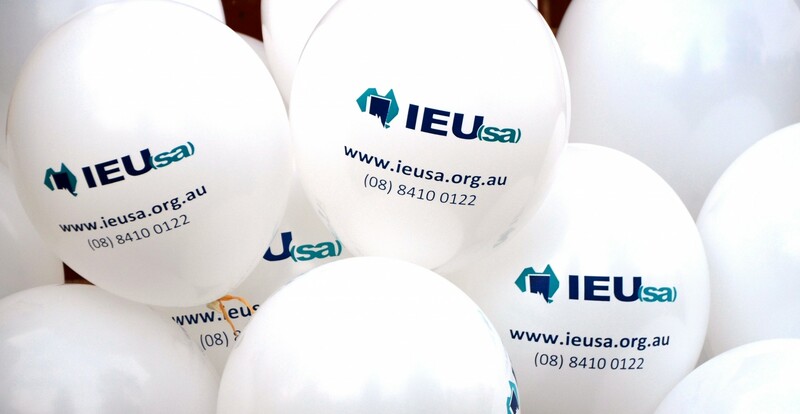 Country school Branches of the IEU can send their collective response via their Reps to annee@ieusa.org.au. Any questions you would like to raise with the IEU can be asked via email to annee@ieusa.org.au or by calling the office on 84100122. (As a light meal and refreshments will be served at the conclusion of the meeting please RSVP to confirm your attendance to annee@ieusa.org.au by COB Tuesday 25th October.). Some key outstanding employer claims which will remove or diminish current rights. ESOs and teachers on parental leave, denied a return to part time work at their own school, can only seek work at other Catholic schools. Removal of protections that limit the assignment of relief lessons thereby increasing secondary teacher workload. Increase in CEA load for primary teachers from 5 to 8 hours per year. Greater casualization of contracts of employment for ESOs and teachers by removing current protections. Loss of the right for ESOs and teachers to declare partial redundancies as whole redundancies. Reductions in the period of support for underperforming teachers prior to termination of employment. Maximum relief lesson load reduced from 20 hours per year to 5 hours per year for Secondary teachers. 2 pupil free days (one each semester) become dedicated report writing days. The IEU is open to different solutions for different sectors – primary / secondary. It is also open to reductions being a combination from different work categories (SCT, OPA & CEA.) and the possibility of them being phased in. The Employer says the Union claim for parity with DECD, a reduction in SCT of 1.5 hours at a cost of $18 million, is unaffordable. If it is unaffordable offer something that is affordable and meaningful rather than continually complaining about one claim and its cost. The IEU has regularly suggested other claims to offset workload intensification that cost much less. Reducing OPA (meetings). Fewer or shorter, efficient staff meetings, for example, cost nothing! Reduce OPA (yard duties) by paying part time ESOs to undertake recess yard duties etc. None of these have been costed. All have been rejected. The IEU even suggested phasing in improved conditions but the employer prefers to characterise our claim as being unreasonable and required in one hit. Why? How you spend the money is all about priorities. Obviously workload ranks lowly in the employer’s priorities. No wonder the employer avoids the offer of assistance from the Fair Work Commission! While not formally announced, and despite continuing problems associated with the postal ballot system, another 15 schools have voted to take various forms of protected industrial action. Congratulations to Nazareth College (Primary), St Michael’s College (senior and junior), Our Lady of the Sacred Heart College, Marymount College, St Columba College (Senior, Middle and Jnr) St Margaret Mary’s School, St Joseph’s Kingswood, St John the Baptist, St Brigid’s, Our Lady of Grace, St Martin de Porres, Our Lady Queen of Peace, St Joseph’s Tranmere, All Saints and Stella Maris. final details of the event itself. The Employer claims the Union is delaying your salary increase by not accepting their offer. The Employers did not offer you what they had budgeted for until union members rallied in June. Had the employers first offers been accepted, as they wanted, you would have received only 2% backdated or, at a later point, 2.5% with no commitment to backdating. You would have also had to accept all of the employers ‘sensible and reasonable productivity concessions’ that stripped away benefits or protections and increased workload. This says everything about what the employers really think about you. Employers could have accepted the offer of the Fair Work Commission (FWC) to assist in negotiations if they truly were concerned the Union was stalling negotiations. They refused assistance in July. Last week they rejected the IEU’s request to reconsider this position. If their offer is so fair and reasonable why do they not want the independent expert involved? While not formally announced, the first batch of protected action ballots have been counted. Congratulations to St Aloysius College, St Paul’s College, St Mark’s College (Benedict campus), Galilee Catholic School, St Patricks School, School of the Nativity, St Augustine’s Parish School and St Barbara’s Parish Schools for voting to join the existing 32 schools that have already undertaken protected industrial action. Special mention to Kildare College whose members have voted to add stop work action to their existing range of authorised actions. Despite again experiencing issues related to the postal ballot process this result demonstrates that teacher workload is an issue that the current employer offer fails to address. The final two rounds of counting will occur on Thursday 25th and Monday 29th of August. Updates will be provided. Details of the rally to follow. Negotiations held last Friday, 5 August, failed to make significant progress. The Employer deferred many of their responses to claims until the next meeting on 19 August. They did however propose another 4 bargaining meeting dates which, if required, will carry negotiations through till November. A strong YES vote is required in the protected action ballots currently being held in 37 new schools. Maximum attendance at the rally in September is crucial to send a message to the employers that they need to provide meaningful adjustments to teacher workload conditions. The IEU did indicate that if the employer were to assign two pupil free PD days to report writing it would refer to members, for consideration, its claim for SCT be reduced from 1.5 hours per week to 1 hour per week for primary school teachers. This is a significant concession considering the outcomes achieved within the recently agreed Conditions of Employment for Principals and Deputy Principals of South Australian Catholic Diocesan Schools. Significant increases in the Wellbeing Allowance (gym & sports club membership etc). Increased to $3500 per year for principals and $2800 per year deputy principals. Significant one off increases of between 55% & 63% to Allowances for band 4, 5 & 6 principals, effective 1 August 2016. These new allowances of between $28,000 and $30,000 a year (on top of base salary) are indexed each year. Creation of new Allowances for principals of stand-alone Middle Schools, Special Schools and Technical Colleges of over $10,000 per year (on top of base salary). The option for current secondary and secondary / combined principals to transition onto their new Agreement when their tenure expires (between 2 and 5 years’ time) rather than immediately. While it is noted provisions regarding the supply of a motor vehicle have changed the net impact is still being analysed. The IEU has identified significant amounts of money and time that have been poured into the roles performed by principals, deputy principals, APRIMs and bursars over the last 12 years. In that same time frame SCT & OPA have not changed, there has been a significant increase in teacher workload and there has been corresponding reductions in assistance for teachers. (Most notably related to special needs students and ESO classroom support.) In times of considerable workload intensification relief should be given to all staff not just limited to managerial roles. In term 3, 2014, SA Catholic Principals met to discuss the upcoming Enterprise Agreement negotiations – still being negotiated 2 years later. They do not believe that workload pressures are being felt by the majority of staff, but rather only by a very small minority. If a teacher were to raise a workload issue it is described as “whinging”. Principals believe they have a better handle on teacher workload and stress than the union. The union agenda is being driven by a very small group of militant reps and the people they work with. Work should be able to extend into term breaks. Principals do not want workload regulated. They want flexibility. The transcript of the link is below. Members have told the IEU that workload is an increasingly pressing issue. There is no reason to expect that non-members would be any less pressured. The employer is not dealing with a ‘militant minority’, but an overworked and under-appreciated majority who are demanding some redress in this EA. There is nothing reasonable or fair about expecting teachers to continue delivering a current educational model through to 2019 or 2020 while working under benchmarks set in 2004. The 3 minute edited highlights. The transcript of the 3 minute segment follows for those who need to be sure that they actually heard correctly. “Basically I am going to ask you to divide up into about three groups across the room. We’ve got Michael Honey and Eileen Young, Christine Comas who will position themselves in one of those groups.” ………..
“So a lot of discussion around, “Can we access the holiday leave time?” rather than have this them-and-us retraction to a base condition in how the EA takes us. So the theme was that the more we regulate the less flexibility we have to create those cultures.” …………. “Having meet with [indistinct] the union that the log of claims that comes through from the union is very much based upon a small minority and often that small minority is the actual people that the union reps work with and then that comes through to the log of claims. We know that. We know that through our experience.” ……………………. “I think that need[s] to be [indistinct] challenged about that because I don’t think we would be running too many meetings which aren’t purposeful. That sort of brings us to that point of what we were talking about earlier about the union probably representing a very small minority.” ……. it fails to adequately address the central issue of teacher workload. remaining Employer claims must be unconditionally accepted. This will erode important existing conditions for both ESOs and teachers. It will also leave all staff exposed to undetermined salary increases in the last one or two years of the Enterprise Agreement. removal of current protections around assignment of relief lessons thereby increasing teacher workload. Loss of the right for ESO and teachers to declare partial redundancies as whole redundancies. part time teachers required to attend parent teacher interviews on days they do not work. significant reductions in the period of support for underperforming teachers prior to termination of employment. Despite presenting this offer as “final” the employers have confirmed it will continue to negotiate in good faith at meetings scheduled for August and September. Given the gulf that exists between the employers’ perception of meaningful adjustments to teacher workload and that called for by members, the IEU has formally requested that the employers reconsider the offer of the independent umpire, the Fair Work Commission, to assist in negotiations. Why refuse to accept the offer of expert help from a body that in 2004 played a significant role during negotiations in the formulation of existing workload conditions? The employers continue to treat the IEU claims as those of a disconnected militant minority, believing that principals have a better understanding of teacher workload pressure and how to address this. This view will be tested as the Fair Work Commission has just approved balloting of another 37 schools for the right to take protected industrial action. This will enable a major rally to occur in September. Members need to plan and prepare for a September rally to build on the gains achieved from the rally held in June. The negotiators have met again after the rally and employer walkout. AST will continue for the life of this EA – no new applications/no reviews. The SCT component of the offer is varied in that up to 5 hours of the 10 hours can be used at a ‘peak workload time.’ The wording will need careful drafting. Removing conditions on temporary appointments for teachers and ESOs. Removal of partial redundancies for all employees. Part-time Teachers are required to attend parent-teacher interviews on the days required by the school, irrespective of the days normally worked. Members overwhelmingly supported Fair Work Commission assistance in the negotiating process, but Michael Kenny, on behalf of the employer group has this morning notified the Commission and the IEU that the employers are not willing to take part in a Commission-assisted process. This leaves us with no option but to ramp up industrial action ahead of a planned bigger rally in September. 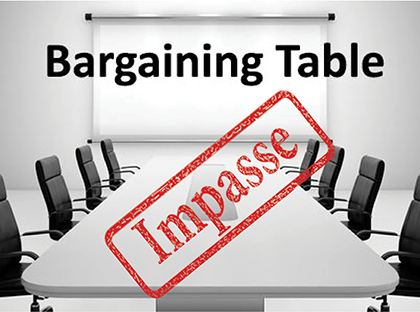 Negotiating will continue as originally scheduled on the afternoon of Friday 8th July. It would appear that the apology originally demanded is no longer a pre-requisite. It is extremely disappointing that the employer refuses to use the independent umpire to bring its vast experience in handling intractable disputes into play. The IEU and Catholic employers in Queensland used the Commission to break their deadlock. Why would CESA not be willing to give this a try? Obviously the fear is that they will need to make reasonable concessions. Until now the tactic has been to fold the arms on the big issues and give a flat “No” or totally inadequate responses. In true negotiations that is not acceptable and the employers know it. They would be shamed into unpacking the issues and coming up with solutions. To date the employer tactic has been to stare down IEU claims in the hope that members would become tired of the process and give up. The opposite is likely to result. Initial reactions have been that the members are getting angry at being patronised, marginalised and ignored. Applications for Protected Action Ballots of another 13 schools will be lodged tomorrow with another larger wave to follow early next term. The employers are not listening. We obviously need to talk louder. Today’s application for Good Faith Bargaining orders against the Catholic employers was heard as a conciliation conference. In hearing the matter the Commissioner offered to provide any assistance to the parties that would be considered useful to overall EA negotiations. That could either be as a facilitator at negotiations or in a more formal capacity using a new “interest-based bargaining” model. Given the impasse around several key issues after 14 months of negotiations the IEU is open to exploring assistance from the Commissioner. This would necessitate both parties agreeing to put themselves in the expert hands of the independent umpire. The Commission would not order any particular outcome. Agreement would be by consent of the two parties. The parties have agreed to respond by COB Thursday 7 July if they are willing to accept assistance from the Commission in some form. We need to have an indication if members are willing to consider Commission assistance with the negotiations. Please advise your IEU Rep of your views. Branch Reps are being asked to report back to the IEU by COB Wednesday 6th July. Industrial action and the scheduled 8 July negotiating meeting would continue if either party declined the offer of Commission assistance. If both parties are open to FWC involvement there would be a hearing on the morning of Friday 8th to unpack how this could proceed. If that were to occur, the expectation from the Commissioner would be that industrial action would not occur whilst the Commission based process was running. Industrial action to maintain the ability to take action at a later date would still be allowable. Applications for industrial action ballots will continue to be made as planned in order to preserve our rights. Ahead of planned negotiations on Friday 24 June, the employers pulled out of negotiations indefinitely, causing an impasse in ongoing negotiations. Follow link for full text of email communication train. On Thursday 23 June Michael Kenny complained to the IEUSA Secretary by phone and email about IEU Catholic Update #31. The IEU did not resile from using footage of Principal and negotiator Michael Honey observing and recording our Thursday 16 June rally, and stood by the use of the word “mocked” ” to describe Michael Kenny’s comment at negotiations. The full text of Michael Kenny’s demand for an apology was read to members at the AGM on Thursday 23 June. The members at that meeting were vocal in their confirmation that the actions of Michael Honey were intimidatory and the presence of K9 security and locked doors reflected badly on the employers. The meeting instructed the Secretary to write to the employers in those terms and to demand an apology from Michael Honey. The employers’ response on Friday afternoon has confirmed their withdrawal. The IEU is concerned that the employer has used this incident as an opportunity to sabotage the bargaining process and try to sheet responsibility back to the IEU. We are committed to exploring ways to continue to engage with the process for the outcome our members have directed us to pursue. new industrial action applications will continue to a be made as the action ramps up to September Rally in Victoria Square. Last Thursday 16th , 250 members from 30 Catholic Schools marched to the CEO protesting the employer position in EA negotiations. Secretary of SA Unions, Joe Szakacs, congratulated IEU members fighting for conditions to improve educational outcomes. Failing to support teachers was a failure to support students. Members of the IEU negotiating team, Michael Francis (Mercedes College) and Brian Horan (St Francis de Sales) then spoke about the impact of intensification of teacher work. They explained that the IEU teacher workload claim was, in fact, for the benefit of the students. Teachers need time; time to do their ever expanding job properly. IEU Secretary, Glen Seidel, read out messages of support from IEUA federal secretary Chris Watt, our Ontario comrades, other IEU branches, the AEU and a member’s email to Michael Kenny. It was also good to have the presence of not just SA Unions, but also the Commonwealth Public Sector Union and the Firefighters’ Union. backdate salary increases to October 2015. The IEU has put to the employers numerous options to meaningfully reduce workload intensification, including some that have no cost. We have also called on the employers to formulate alternatives. In response, Michael Kenny simply mocked teachers by stating that if workload is too intense we should consider a 48 week school year working 9 – 5. The IEU will apply for orders for more schools to be balloted so they too can join their colleagues at the next planned collective stop work action in Victoria Square in September. Members were bemused to see Nazareth Primary Principal, Michael Honey, watching the rally from a distance, clip board in hand. At Friday’s negotiating meeting the IEU rejected the employers’ latest offer. Counting early school closure hours at the end of a term as part of the 10 hour reduction in SCT does not address intensification of teacher workload during the year and demonstrated a total lack of understanding of the issue. Likewise a reduction in OPA of 6.5 hours per year or 2 minutes a day is meaningless. The employers’ snide response was: “You want a reduction in work and a salary increase ? ?” This fails to acknowledge that reductions sought are needed to counter-balance excessive increases in unregulated work. If teachers need more time Michael Kenny has suggested a 48 week school year, working 9-5. The employer is not attempting to find a solution. IEU proposals to address intensification to workload tabled 3 weeks ago were rejected outright even though some solutions cost nothing. Michael Kenny confirmed, that employers had not met to consider the IEU proposals and would not meet again until July. The employers are in no hurry to consider proposals and then assert that pay rises and back-pay are being delayed by the Union. This is just a cheap “divide and conquer” tactic. They say AST is worthless and they are not even open to grandfathering existing ASTs. Employee action is the only way a meaningful outcome can be generated if the employers continue to stonewall. The rally to deliver your petition will occur on Thursday 16 June and another 30 schools will shortly be balloted to join the existing 34 schools taking protected industrial action. You can’t put students first if the employers put you last. The IEU executive has endorsed a centralised stop work action of members from the 34 schools in which protected industrial action is authorised. Who: Only members from the 34 successfully balloted schools are eligible to participate and any members who do not work on the afternoon of June 16. The money is there, it’s simply a matter of prioritising what it is spent on. There are numerous no cost alternatives that could form part of a responsible outcome. Organisers will arrange with Reps to visit participating schools and assist in organising arrangements for this event. The petition (available from Reps soon) is open to all (balloted or not). Lend your voice to the campaign and support those who will be losing pay fighting for fair outcomes. Presently we are organising to ballot approximately another 30 schools to join in future industrial action. A new offer …. but don’t get excited! Collective action will be necessary due to another insincere offer by the employers at the negotiations on 20 May. Reduce the relief teaching load for secondary teachers. Reduce OPA by training and paying part time ESOs to undertake yard duties at recess time. The IEU suggested there may be different solutions found for primary and secondary teachers. Whatever the case, if employers found a 1.5 hour reduction in SCT too expensive, then we would need to find 3 hours per week of other reductions to have the same impact. Before you get excited, it is important to note the reduction in SCT is to be counted against the total annual maximum of SCT allowable in a school year rather than the actual. That is Primary 960 hours pa and Secondary 900 hours pa over a 40 week year and Tier 3 secondaries 889 hours pa over a 39.5 week year. Therefore a school which releases students at lunchtime on the last day of each term, for example, can count that as the 10 hour reduction in SCT. A school which releases students a day or two before the end of a term, for example, likewise can count that as the 10 hour reduction in SCT. Under this ‘improved’ offer a teacher’s weekly work and workload will not necessarily alter at all (and could increase). Closure of schools at these times offers no relief to workload at peak times nor does it address the increase in unregulated workload. It is the daily and weekly intensification which needs alleviating and the employers have not seriously addressed how this can be managed. Details of the impending collective protected industrial action will follow in the next EA negotiations update. St Francis de Sales College, St Ignatius Jnr School, Tenison Woods College, St Mark’s College, Cabra Dominican, Blackfriars Priory, Kildare College, Sacred Heart College Senior School, St Francis of Assisi, St Joseph’s Memorial, Mercedes College, St Joseph’s Hindmarsh, St Joseph’s Ottoway, Whitefriars, Nazareth College Senior School in voting to take protected industrial action. The Money Is There – It’s all a matter of prioritising. IEU negotiators met with the employers on 15 April to unpack details of their funding and expenditure model because employers claim that they are simply unable to afford to meaningfully address teacher workload intensification. The discussion was open and the method of re-allocating central funding was explained, but the main thrust of the employer argument was that SA is less well funded and economically travelling worse than other states. SA Catholic schools are third only to the Northern Territory & Western Australia for Total Income per student. SA’s mix of income/expenditure is different to the other states, but the money is there. Within its half a billion dollar a year budget it is possible for Catholic employers to fund meaningful adjustments which would bring 2004 teacher workload conditions closer to 2016 DECD benchmarks. The IEU negotiators are always willing to consider counter proposals – there just haven’t been any of merit! Our simple suggestion to reduce intensification was to match DECD student contact times which are 1.5 hours per week lower at both primary and secondary level. If this is a problem for the employers, then we would expect an alternative suggestion rather than folded arms and the oft-repeated mantra – “We can’t afford it.” The offer to reduce workload by an average of 3 minutes per day is laughable. To reward the best teachers by rescinding AST classification and reducing their salary by over $2000pa is insulting. At Friday 6th of May EA negotiation meeting the IEU again appealed to the employers to reconsider their current offer and bring fresh proposals that are real and meaningful to the next meeting for consideration. We know that all the money is always spent, and there is fierce competition for a slice of it, but the truth is that the employers choose to not afford your claims, and choose to respond with inadequate offers and that is why the industrial action rolls on with 20 more schools being balloted and a collective work stoppage and rally planned for June. This week’s EA update is the email sent yesterday to all staff at St Francis De Sales by Brian Horan (IEU rep and member of the IEU negotiation team) in response to employer EA update no 8. Worth a read. I write in response to Enterprise Agreement Bargaining Update No 8 from the CEO. Lead employer negotiator, Mr Michael Kenny, compares the current claims of the IEU at Catholic EA negotiations with the outcomes of the recent Lutheran EA negotiations where the IEU also sat. He makes the point the IEU agreed to these terms and asks you question why because seeking DECD conditions in Catholic EA negotiations is ‘delaying’ a salary increase. Setting aside the fact the Lutheran EA has quite a different structure for salary and conditions and is not relevant, Mr Kenny mistakenly thinks the IEU office agrees to EAs; it does not. An EA is accepted or rejected via a vote of employees covered by the EA. Mr Kenny mistakenly thinks the IEU office determines the claims it tables in EA negotiations; it does not. The IEU negotiates for what its members in that sector or school direct it to. Consultation with members via a comprehensive survey and regular meetings with their school branch representatives determined the content of the current IEU claim. Because the Catholic employer has regularly stated it references its salary offer against DECD, the IEU was directed to claim, among other things, numerous DECD employee conditions. At the recent Catholic IEU delegates meeting time was given to reviewing the EA negotiations and the representatives were given the opportunity to discuss what had taken place so far and then vote on a course of action for the EA team to follow. Representatives voted overwhelmingly to continue pressing the claims members had identified as priorities for staff in Catholic Schools – particularly teacher workload claims and a reduction in Student Contact Time. Mr Kenny fails to adequately emphasise the employer salary offer is conditional upon the termination of the AST (Advanced Skill Teacher) classification. That means SAs best Catholic school teachers’ salaries will be cut by over $2000 per annum if you accept the current employer offer. Sound fair and reasonable? As someone who is involved in this process for the first time I can honestly say that it has been a real eye opener and I thank God we have a union and we are able to take part in this process. I know that many of you are not members of the IEU and that is your choice but I wonder what would happen to pay and conditions if there was no one prepared to sit down and fight for a fair outcome. This experience has only made me more convinced of the need for union representation and to tell people that it is something they need to consider if not members. I would also like to say how appreciative I am of the efforts of Frank Bernardi, Anne Edwards and the IEU team as they do an amazing job representing their members. If you are not a Union member I seriously ask you to reconsider that position and join. In response to the Union call to be shown “the books” the employer has only agreed to provide financial information which is publicly available or readily accessible. This is unlikely to contain the level of detail we require. The employer has also refused to allow the IEU to include our funding experts from the IEU Federal Office in the briefing. The IEU therefore has referred the matter as a dispute to the Fair Work Commission (to be heard Thursday 7th April). Congratulations to Tenison Woods College Mt Gambier, St Mark’s Bosco and Nazareth Senior College whose successful ballots enable them to join in the industrial action. In the final 2 weeks of this term, Blackfriars Priory School, St Joseph’s Ottoway, Cabra College, Sacred Heart Senior College, St Marks Bosco and Tenison Woods College Mt Gambier will be undertaking 30 minute stoppages. Members at most balloted schools continue to wear campaign T Shirts and badges on a regular basis. Coordinated action across all eligible balloted schools is being planned for Week 5 of Term 2. The next negotiation meeting is scheduled for Friday 15 April. The IEU has sent the following letter to Michael Kenny in response to the employer’s continued stance that they are unable to afford the IEU’s claim. 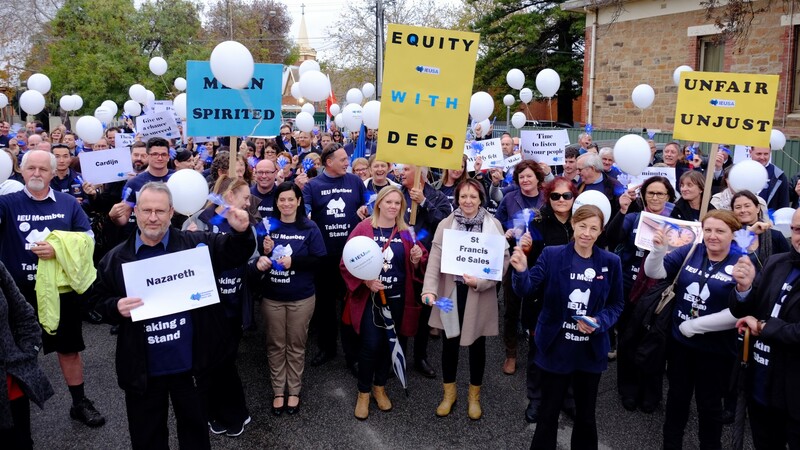 From the outset employer representatives have identified that financial constraints prevent them from offering reasonable adjustments to salary and teacher workload conditions to bring it into line with benchmarks set by the state’s largest employer in the education sector, DECD. Since then there has been a steady stream of employer responses at bargaining meetings that reaffirm this position. At the most recent Catholic school enterprise agreement bargaining meeting of 11 March 2016, IEU representatives requested the employer reveal their financial position to validate their claims by providing access to ‘the books’. Employer representatives sought the request be put in writing particularising the details required. This letter does that. The IEU negotiators require a detailed face-to-face briefing of the funding/expenditure systems of Catholic education in SA and the provision of supporting documentation. This briefing should be arranged at a mutually convenient time to allow for the presence of the IEU(SA) Secretary, Glen Seidel and either of the IEUA federal Secretary, Chris Watt, or IEUA federal Assistant Secretary, Anthony Odgers. Are there centrally set restrictions? Are there centrally set expectations for fee levels and increases? How are bad debts managed and what proportion of budgets are impacted? How are fee remissions managed and what proportion of budgets are impacted? What plans are being made for the amalgamation or closure of smaller, non-viable schools? Do systemic and non-systemic and different SES level schools pay at the same rate? At the last EA negotiating meeting held on Friday 11 March, IEU negotiator Brian Horan from St Francis de Sales provided the employer negotiators with feedback from the IEU Reps Conference. Brian reinforced that reductions in Student Contact Time was the primary measure sought by members in addressing outdated workload conditions. Yet again, the employer response was to cry poor and blame funding. As a result, the IEU requested that the CEO provide evidence of this and open the books. The IEU also suggested that reallocation of existing funds may provide a way forward. The employers’ response was that they run schools and decide where the money goes. That is not an adequate response. On a positive note, the employers will no longer pursue the removal of spread of pay for part time ESOs. Organisers are continuing to work with IEU Reps and members at schools to roll out Industrial Action in support of our claims as per the resolution unanimously carried at the Reps Conference. 65 Catholic Reps at Monday’s IEUSA Reps Conference unanimously endorsed the program of rolling out industrial action on a site by site basis. This means that new schools will join those already taking action, and actions will continue and escalate in existing schools. Reps identified the areas of the IEU claim which would have the greatest impact on addressing Teacher workload concerns. Reduction in Student Contact Time ranked most highly for Secondary, Middle and Primary Schools. For Secondary and Middle Schools, relief lessons and OPA ranked next. For Primary Schools, OPA and POR release were considered the next most significant. There was strong support for the retention of AST. The employer proposal to remove the current provision of spreading pays over the whole year was of most concern to ESOs. The IEU is aware that this provision is popular with ESOs. The debate is whether the existing clause is lawful or not. Watch out for IEU Organiser visits to your school. It is important that you attend and contribute to any Branch meeting. The IEU invited members Bernadine Bourne (Nazareth Senior College), Deb Cashel (St Joseph’s Ottoway) and Anthony Goodrich (Sacred Heart Senior College) to attend the EA negotiations held Friday 26 February. The 3 members eloquently and passionately described the extent of professional commitments undertaken by efficient teachers. Disappointingly, the response from management was to acknowledge the increased workload, but to say that work intensification was how it was in today’s world. All the employer representatives could offer was 10 hours per year ( 3 minutes per day) to relieve the load for over-worked teachers. Deb summarised her feelings to management at the end of the meeting by stating that either teachers need to be given extra time to do their work or something has to be taken away. The employers tabled a draft Appendix to cover those Early Learning Centres which are not DECD funded. It is the employers’ view that existing conditions are not sustainable. We thank Bernadine, Deb and Anthony for the extra work they have done in preparing for and attending the EA meeting. In addition to Frank Bernardi and Anne Edwards we have Louisa Fidock (St Paul’s College), Mick Francis (Mercedes College), Brian Horan (St Francis de Sales), Chris Lloyd (Tenison Woods College) and Zoe Spearman (Holy Family School) who continue to speak on your behalf at the table. We thank them for that. You would be aware that the employers have published a 7th EA update with a revised pay offer and no guarantee of backdating. This Friday 26 Feb is the next EA negotiating meeting at which this will be discussed (amongst other things). We will keep members posted with developments. The employers also want to trash AST, leaving those teachers with effectively no pay rise. Industrial action is still being rolled out on a site by site basis and this revised employer position is insufficient for that campaign to be suspended. Keep up with campaign news via the IEU Facebook page. Please like the page, share the posts and comment. There was no movement in the employer position at the first negotiating meeting of the year on Feb 12. The employers are refusing to make realistic adjustments to workload conditions and are disconnected from the realities of the workplace. In the Fair Work Commission the employers’ lawyer claimed that all teacher marking and preparation could be done in non-contact time if a teacher was efficient. The AEU and the government have concluded their negotiations. The package of a 2.5% pa pay outcome (backdated to Oct 2015) and improved conditions will be voted on soon. IEU members continue their campaign of rolling industrial actions. Now it’s time for a fair and reasonable offer from your employer. This update is being provided to all IEUSA members because of the public interest in the Catholic EA dispute. As the term starts, the Catholic schools with authorised “protected industrial action” are rolling actions out according to plan with plenty of scope for escalating at current schools and expanding to more schools. The Catholic Education Office lodged a Fair Work Commission application on 26 Jan, which was heard on 27 January, to have 2 of the notified actions terminated on technical grounds. The employers were not successful on any point and the actions will proceed as planned. We are pleased with the positive member support for this new, site-by-site, approach to industrial action. Apart from locking in the ability to escalate industrial action if necessary in the future, these actions are also designed to send the message to the employers, and the broader community, that the issues claimed are widely and deeply felt by the IEU membership at large. The taking of industrial action does require the employer to deduct pay for the period of a total stoppage, but it is open to the employer to either accept a partial ban without deduction or calculate a reasonable portion that the banned work constitutes. At the moment, schools are issuing notices with obscure deduction methods which are quite bizarre and unfair. The IEU is formally challenging this. Follow the day to day events on our Facebook. This activity has driven unprecedented traffic and media interest has been positive. Interview with Matt & Dave on 891 went well on 3 Feb. The IEU has been negotiating for a year. The old EA expired 31 July 2015 and the last pay rise was 1 Oct 2014. Michael Kenny’s cheap shot that we cancelled a “negotiating” meeting because we were too busy organising industrial action ignores the inconvenient truth that it was only to be a drafting meeting without the full negotiating teams of either side being present. There was never going to be any debate or resolution of major issues. As much as the Catholic employers generally refuse to negotiate anything higher than the government sector, their wage offer of 2% is below the 2.5% on the table in the government sector and the 3% IEU claim. In an extensive survey in 2015, IEU members listed workload intensification as the most significant issue. One way to address this is to lower student contact time by 1.5 hours per week to the DECD benchmarks. If the employers are going to benchmark salaries against DECD, they should also benchmark what is expected to earn that money. 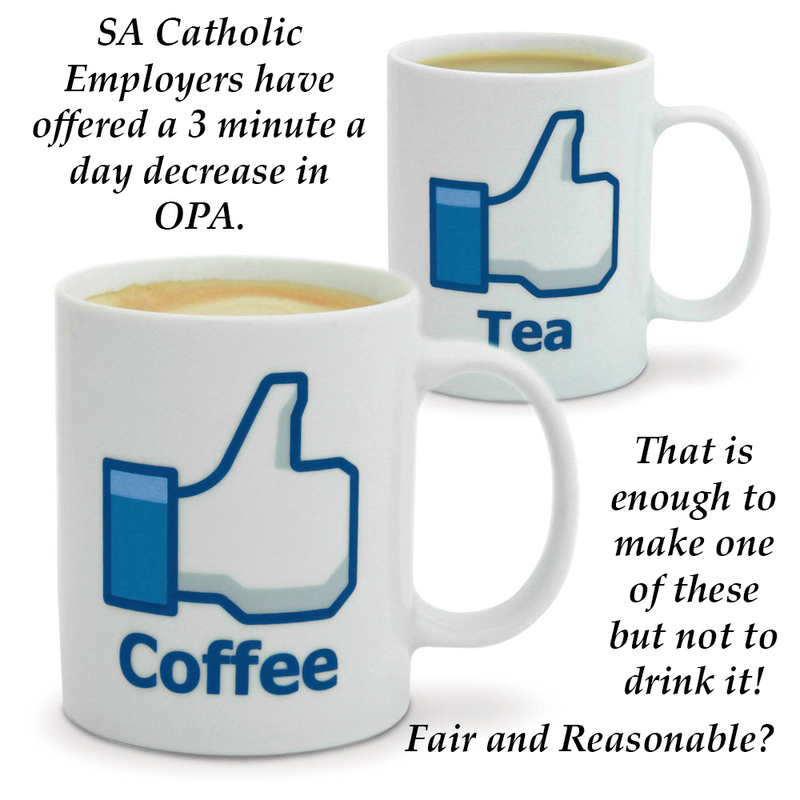 The employer offer of 3 minutes per day reduction in OPA (meetings etc) falls a long way short of an effective response. We have also had a flat refusal to increase POR time allocations, paid maternity leave, retain AST, and to abolish the requirement to take relief lessons. The employer wants our highest performing teachers to take a pay cut. The abolition of AST will cause a $2k drop in salary but only an $1.8k increase at 2%. Other items on the IEU claim have not been satisfactorily addressed apart from some technical and procedural issues. Michael Kenny complains publically that the full IEU claim will cost $40M per year and this will mean increases in school fees. Yes costs do increase over time and that must be budgeted for, but the $40M is smoke and mirrors as it is not the cost of the IEU claim over that of the employer offer and the employers have not engaged in constructive negotiations to explore alternative or cheaper ways of achieving a moderation of work intensification. The employer has paid no wage increase since October 2014 and stands to save a significant amount by removing the AST allowance from current holders. The HAT and Lead classifications were meant to replace AST but there has been insignificant interest in the onerous and expensive scheme. The current workloads codified in the EA were relevant to a 2004 model of schooling. We need a set of conditions suited to 2016 expectations. Catholic employers have boasted for years that they run schools at 90% of the government cost. The only way they can do that is by paying less or working staff harder. Are the claims fair and reasonable? We would say yes, but we are open to discussions of other ways of meaningfully reducing workload intensification. For Michael Kenny it is time to unfold his arms and time to talk. Being dismissive of the deeply felt and widely felt concerns of members across the sector just breeds resentment and ultimately disruption to the great work of members in our schools. Teacher members at Mercedes College , Whitefriars and St Joseph’s Hindmarsh and all members at St Ignatius Junior School and St Joseph’s Ottoway join the 7 other schools in being authorised by the Fair Work Commission to take Industrial Action. Six Schools – Cabra College, Sacred Heart Senior College, Kildare College, Blackfriars Priory, St Francis of Assisi and St Joseph’s Memorial Norwood/Kensington have notified Industrial Action for Week 1 of this term. A ban on the taking of relief lessons. A 30 minute work stoppage (including supervision duties) from the beginning of student recess break. The IEU has issued the employers with notice of an escalated industrial action which avoids the grounds of their objection in the event that the employer is successful or partly successful. This escalation has been caused by the employers’ challenge and the tight time frames involved. Follow the latest Lutheran Schools’ Enterprise Agreement negotiations by viewing all updates from the IEU below. An Enterprise Bargaining meeting was held on Wednesday 29 March. At this meeting the employers tabled a number of new or revised clauses for consideration. At this point nothing is finalised and all the matters that are on the table are still under discussion. The employers are still not prepared to modify their salary offer despite acknowledging that there is little comparison between the workloads of teachers in DECD schools compared with Lutheran schools. They still maintain their view that the salaries should be the same. A working group will convene before the next bargaining meeting on 10 May to produce a draft guide for schools to assist negotiation and review of Local Workload Agreements. This is to try to overcome the problem of Principals and staff not seeming to fully understand the process for producing an agreement for teachers’ co-curricular workload each year. There are still some Reps who have not sent us copies of your school’s Local Workload Agreement. If you are one it is not too late. You can email it to louisef@ieusa.org.au. Your log of claims included a claim for 10 days paid Paternity Leave. The employers have tabled an offer for Dad and Partner leave which is a ‘top up’ to the employee’s substantive salary, including allowances for the two weeks available from the Federal Government’s Dad and Partner Leave scheme. There are a number of aspects to this proposal that need clarifying before it goes further. We are working with the employers to develop guidelines for schools’ induction programs for Graduate and Early Career Teachers. At this point the claim for an additional period of NIT time each for the teacher and their mentor is not agreed. The claim for two report writing days has not been agreed but the employers have proposed a clause which requires consideration of the time taken to write reports to be included in the local workload agreements. At this stage it seems that the major sticking point is salary. We encourage you to discuss this summary with your colleagues. If you have any questions contact louisef@ieusa.org.au or your school’s organiser. Please make the time to provide us with feedback about the LSAs salary offer or other items in the claim. Your negotiating team is there to represent your views. You need to tell us what you think!